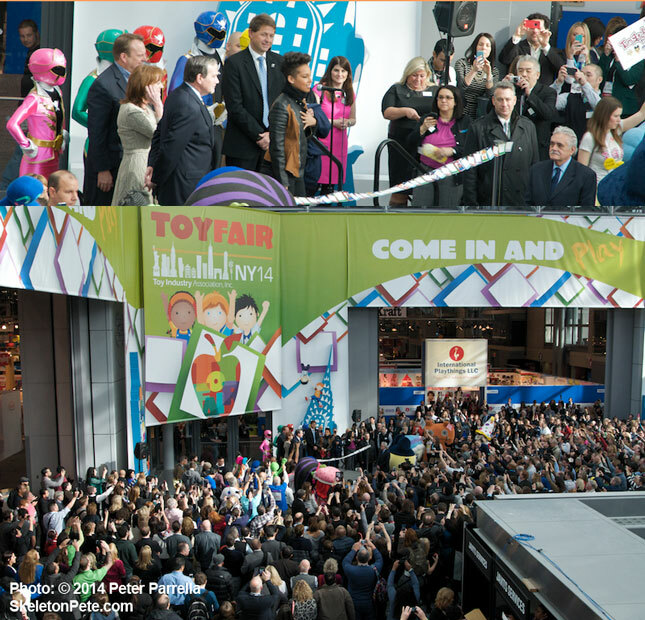 Alicia Keys and Toy Industry Association executives greet NY Toy Fair attendees at opening ceremonies. Grammy Award winning singer and songwriter Alicia Keys headed the commencement of the 111th American International Toy Fair at the Jacob K. Javitts Center in New York City on Sunday February 16th. Surrounded by Power Rangers, a brass driven rhythm band, and thousands of attendees, Keys cut the ribbon to officially open the annual Toy Industry Association (TIA) gathering. Toy Fair brings together creators, licensors, vendors and buyers from all over the world. This year’s gathering, the biggest ever, will span over 400,000 square feet of the sprawling event center. 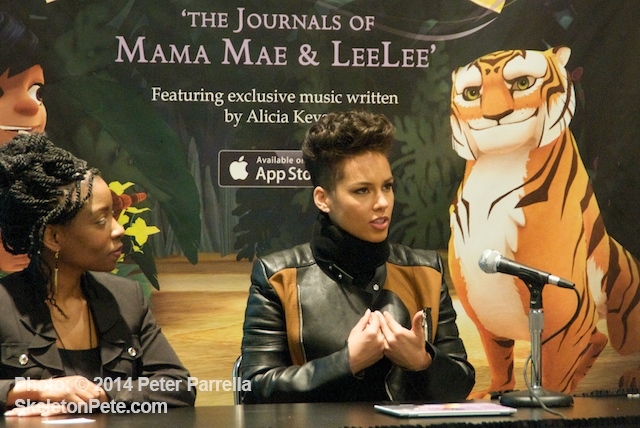 Alicia Keys explains the concepts behind her App’s interactive play. Keys was onboard to announce Mookie the second installment of her Journals of Mama Mae and Lee Lee project, a downloadable digital App. Aimed at teaching youngsters life lessons through music, storytelling and journaling the interactive play is driven by the bond between the title characters, a grandmother and granddaughter, inspired by Alicia’s own familial experiences. Within the virtual walls of Lee Lee’s room children can play her piano, notate a journal or read a book. Via Mama Mae’s multi-cultural parables Lee Lee learns how to cope with the social and moral challenges all youngsters face on their path to adulthood. The Mookey tale, which takes place in India, specifically deals with social bullying.